I am rather late to post this, with no plans to give you a retrospective of my past year, nor a list of plans for this new one, but rather, intending to catch you up a bit, as I have been in the sewdio the better part of the last few days. 2013 ended and 2014 began well: the sewing machine I borrowed from my friend J is up and running and has performed well! It's a Husqvarna 1250 from years past -- far heavier than mine, a sign that it has sturdy metal parts -- but still computerized. J bought it more for its embroidery capabilities, but it has stepped into the breach to enable me to do both 'regular' and free-motion quilting with surprising ease. I don't know yet how long I'll have to rely on it. I managed to get my Lily to the Red Deer Sewing Centre on Monday morning; they've promised to call me January 8 or shortly thereafter with any news. While I was there I had one of the clerks demonstrate the Pfaff Quilt Expression 4.2, which suits my budget and has the features I want in a machine -- plus the delightful news that Pfaff, though still an independent company, is now owned by Husqvarna, which explained why the Quilt Expression bore a faint resemblance to Husqvarna machines. She also showed me a Janome that had too many "bits and bobs" for my liking, and came with a table I don't need. If I do need to replace the Lily, I think I'll go with the Pfaff. In the mail this week were treats to end the year. 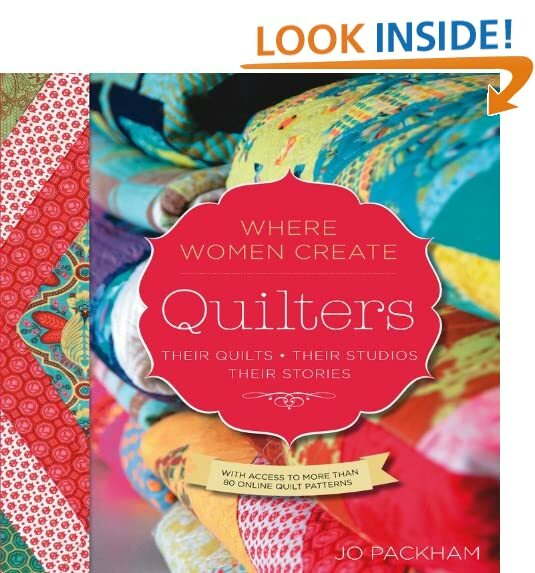 From Amazon.ca came a book I'd pre-ordered: Where Women Create: Quilters from Jo Packham, the publisher of the 'Where Women Create' magazines. This is more like a book than a magazine, though, and focuses solely on quilters, most of whose names I didn't recognize, but Tula Pink, Amy Butler, Judith Content and Katie "PM" are included. 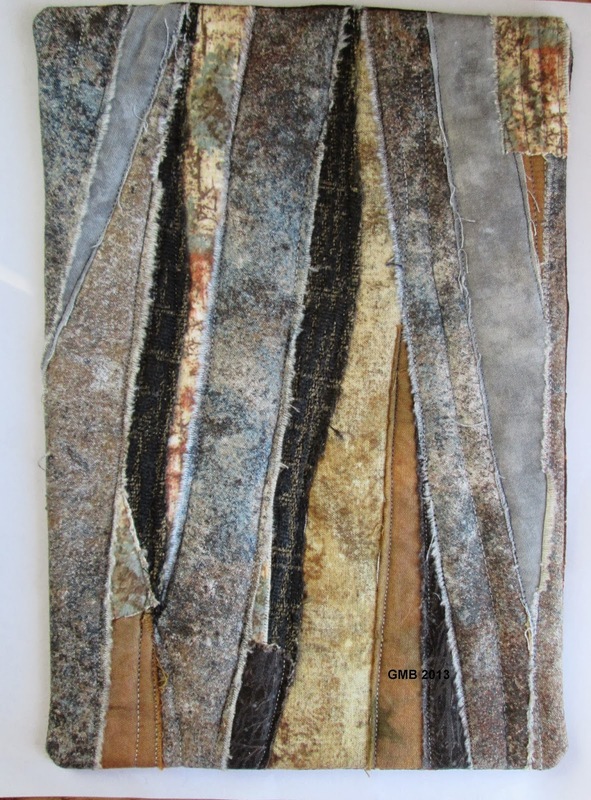 The latter two are SAQA members whom I've had the pleasure of meeting -- art quilt "royalty" in my books! 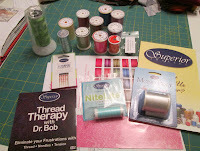 The other treat was my "Try Me" package from Superior Threads that I ordered a few weeks ago -- and what a treat it is!! It includes a selection of thread from all Superior's lines, plus a sampler package of sewing machine needles, a pre-wound bobbin (Bottom Line thread), a catalogue and a DVD from "Dr. Bob". I've wanted to sample this for some time, and decided it was an investment in my work that I could no longer pass up. I've been able to get some basic colours of Bottom Line thread at Earthly Goods in Edmonton, and in October treated myself to several spools of King Tut from Quilter's Dream -- also in Edmonton -- but I've never seen the other threads in Canada at all. 're You Lookin' at ME?! On the knitting front, finishing has begun in earnest. Concurrently, I'm working on an entrelac scarf that I began in a class at River City Yarns at least two years ago -- maybe three -- and a new project -- "Elm" socks from Clara Parkes' The Knitter's Book of Socks -- a birthday present for my daughter. 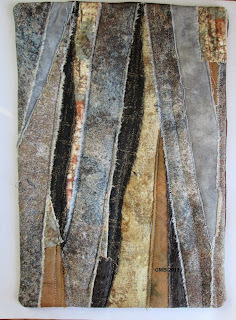 Mark On the Body: stitching continues. Photos from one month in will be posted shortly on the MOB Page, so check back if you're interested. Time to head out for a breath of fresh air -- so long for now! Where Women Create: Quilters is such a gorgeous book, I bought it about three weeks ago and have been devouring it since! Glad you are up and sewing, Margaret. I've discomboobulated my walking foot and need to get it put back in working order. Haste makes a waste of time! lol But I joined the thread club at Superior and I'm champing at the bit to watch my dvd and get trying stuff also. Its looking like a good year! Happy New Year, Margaret! I use Bottom Line exclusively in my bobbin and it is wonderful. Enjoy your reading!